Map showing the Brooks Range in northern Alaska. (Source: National Atlas of the USA). Through the windows of the chemistry lab at the University of Colorado in April of 1954, sophomore Gil Mull gazed out at the Flatirons, admiring their beauty and mystique. As the odours of the smelly lab wafted through the air, Mull realised that he really belonged outside, and to get there he needed to change his major to geology. That change in track eventually took Mull to Alaska to map in the Brooks Range and, in a serendipitous chain of events, put him at the historical well that first tapped North America’s most prolific petroleum reservoir at Prudhoe Bay. His astute observations in the field and experience as a wellsite geologist paved an upwardly mobile path for Mull that pointed toward a comfortable office in a skyscraper, rather than months living in 2.5-by-3m canvas tents. But he did not take that path. After the swells of excitement from the Prudhoe Bay discovery subsided, Mull retreated to the hills of the Brooks Range and the North Slope to continue mapping projects that took him from the Canadian border to the Chukchi Sea. 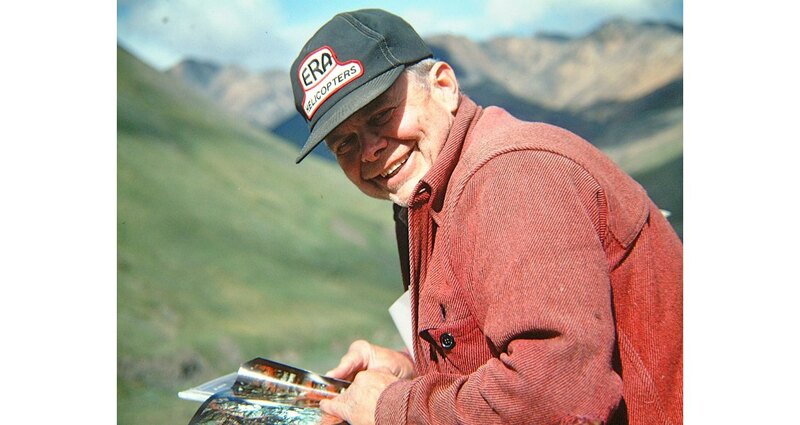 He became one of the few geologists who gained personal familiarity with the entire Brooks Range, and is recognised today as one of the top authorities on North Slope geology. The discovery of Prudhoe Bay was a team effort. Reminiscing on the experience decades later, Mull, now 80, marvels over being a part of it. But 13 billion barrels of produced oil aside, Mull made important geological contributions of his own, and smiles just as widely when talking about them. Gil Mull in Otuk Creek, 1965. 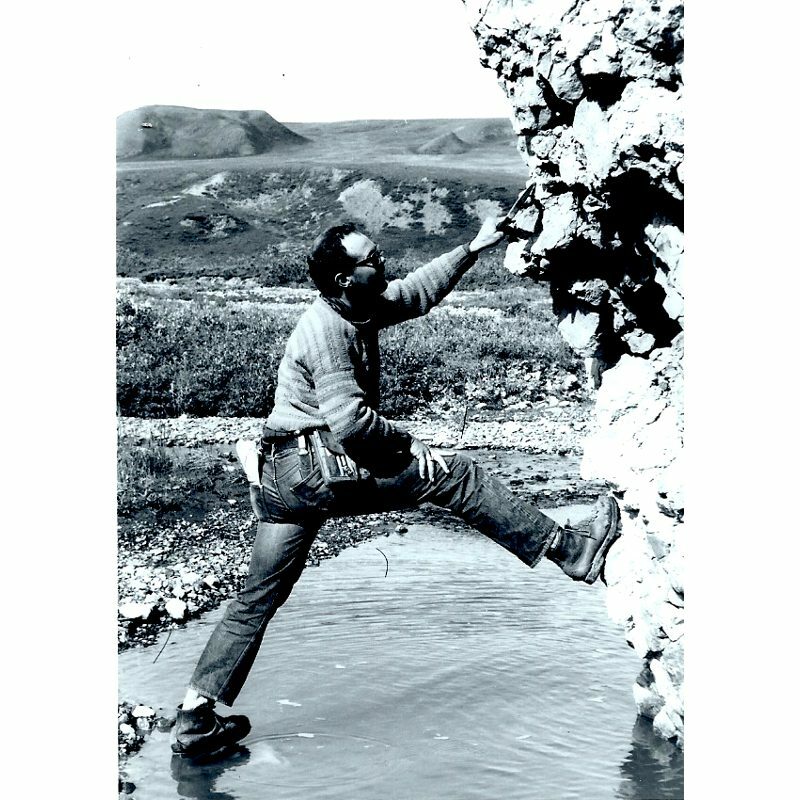 (Courtesy of Gil Mull) The location was Peters Lake in the north-eastern Brooks Range, and Mull and his field mapping partner, Gar Pessel, found themselves in 1963 camped near a group of geologists from Shell who were older, had PhDs, and “worlds of experience”, Mull recalled. Mull and Pessel have often wondered why their supervisors at Richfield Oil, which made the first significant oil discovery in Alaska in 1957 near Cook Inlet, chose relatively inexperienced “punk kids” in their late 20s to represent Richfield on the North Slope. Mull and Pessel went to work searching for hydrocarbons north of the Arctic Circle, specifically the areas between the Arctic National Wildlife Refuge (ANWR) and the National Petroleum Reserve – Alaska (NPRA) – an area known to contain oil and gas. Relying heavily on the United States Geological Survey’s (USGS) “invaluable” basic framework, they bridged the gaps by identifying potential reservoir rocks and organic-rich shales. “We covered a lot of country but it was slow,” Mull said. A Cessna 180 on floats or skis transported their camps from lake to lake. A Bell G2 helicopter, which took them into the field daily, could haul little more than its pilot, two geologists and 40 gallons of fuel. A fulltime mechanic was needed to balance its balsawood rotor blades, which soaked up moisture when it rained. “You were elbow to elbow in parkas. It was like being in a straightjacket,” Mull recalled. Yet they pressed on, spurred by the excitement of exploring the geology of relatively unknown areas and, later, by rocks they observed in the Sadlerochit Formation that showed promise of reservoir potential in the subsurface. Believing their recommendations were sound, Jamison convinced Richfield executives to send a seismic crew to shoot general reconnaissance lines on the North Slope in the winter of 1963–4. The following winter, regional lines revealed a structural high near Prudhoe Bay. “I remember someone asked why we were spending so much time on the North Slope when all the action was in Cook Inlet,” Mull recalled. He kept mum, never mentioning the findings. Richfield, which had merged with the Atlantic Refining Company to become ARCO, sent a rig by cat train to Prudhoe Bay in the spring of 1967 to drill the wildcat well Prudhoe Bay State No. 1, in partnership with Humble (now ExxonMobil). Around this time, Mull joined Humble’s team, not long before the company’s wellsite geologist at Prudhoe Bay resigned to take another job. Mull was ushered in as his replacement. That December, drill cuttings and cores cut from the Sadlerochit Formation revealed porous sandstone and conglomerate. At that point, daily drilling reports could no longer be sent by radio. Instead, Mull made daily, 1,126 km roundtrips in a Beechcraft King Air to Fairbanks or Barrow to phone them in. Gil and Bill Congdon, DST #5 site. (Source: Gil Mull). 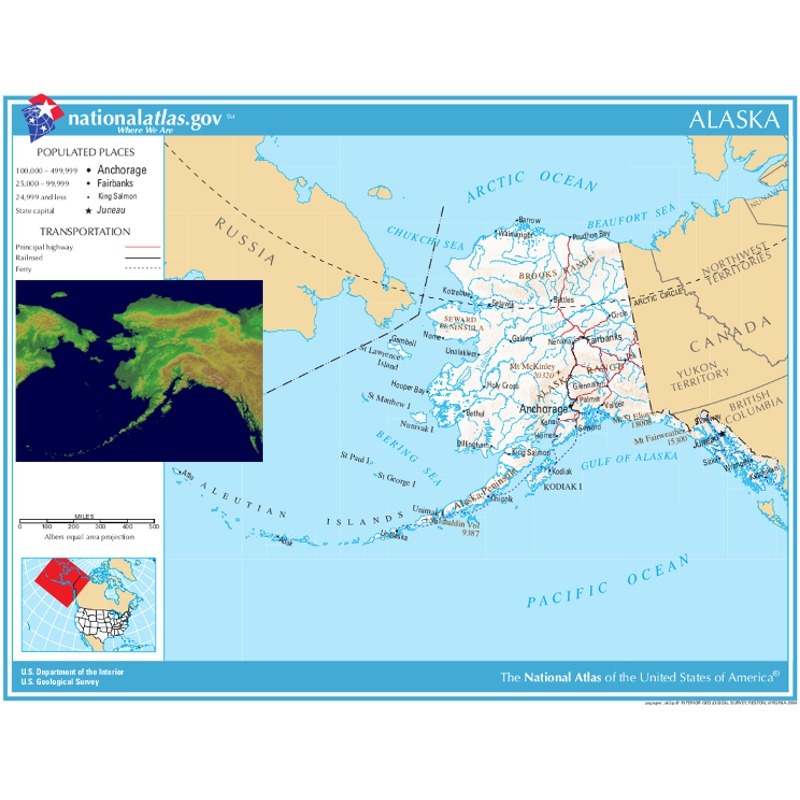 The first drill stem test in the Sadlerochit Formation the day after Christmas brought a present that eventually would give Alaska billions of dollars in tax revenue and the United States an estimated 25% of its oil reserves at the time. In May 1968, the Sag River State No. 1 well, drilled 11 km away and 120m stratigraphically lower, was cored. Roughnecks were screened off from the derrick floor when oil-saturated cores, which consisted of almost unconsolidated sand and gravel, were extracted from the core bit and sent for analysis. Confirmed: Prudhoe Bay was a world-class, Persian Gulf-sized oil field with an estimated 9.6 Bb of recoverable oil. 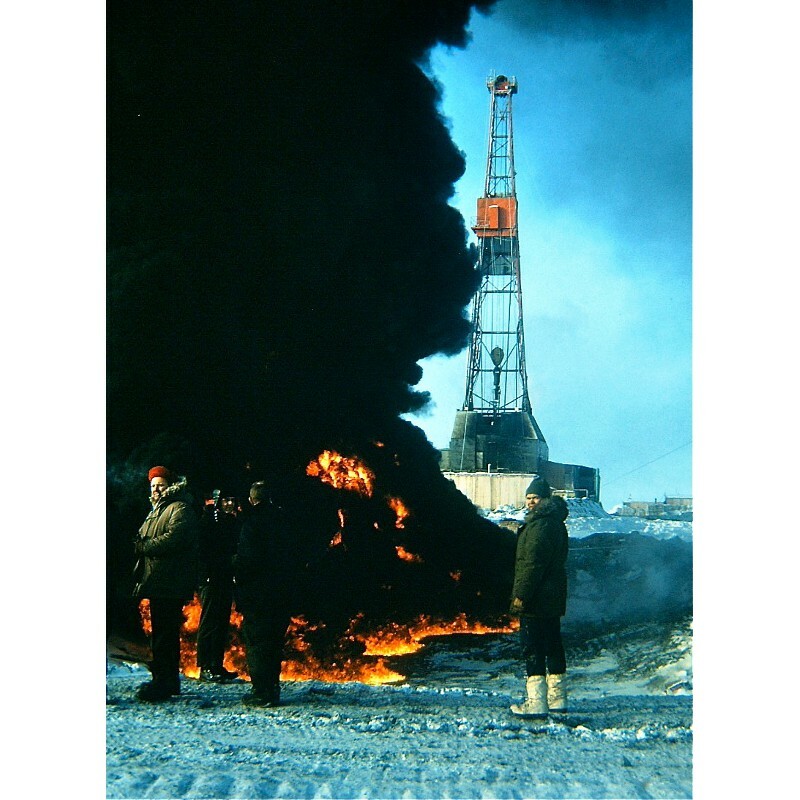 Dozens of development wells were drilled, topped with Christmas trees, and awaited the completion of the Trans-Alaska Pipeline in 1977. Gil . Mt. Doonerak, 1983. (Source: GIl Mull). 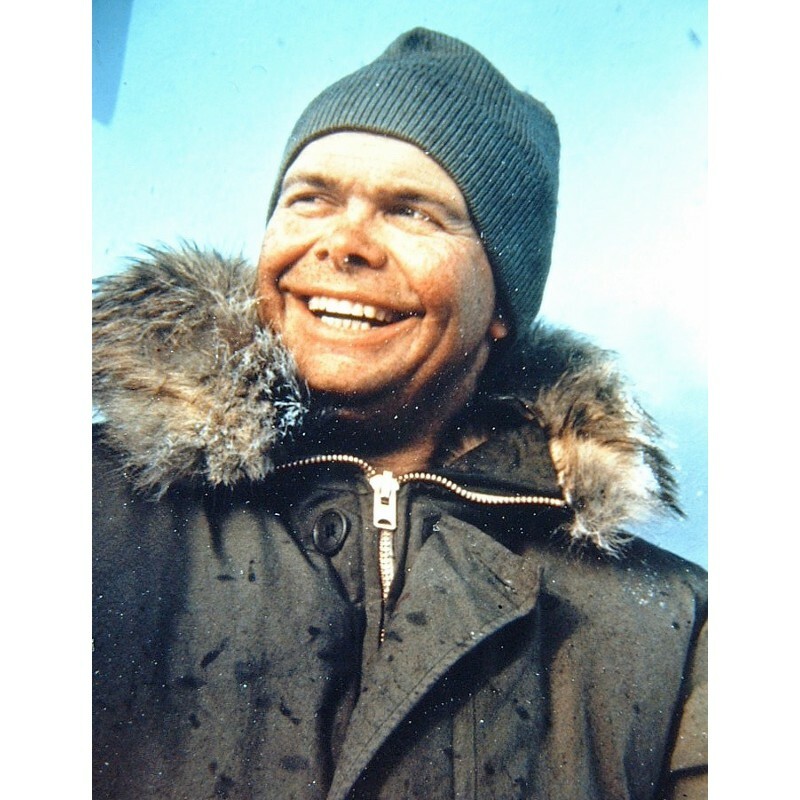 As exploration on the North Slope increased exponentially in the late 1960s and early ’70s, Mull essentially was given carte blanche by Humble to lead field parties, mapping the Brooks Range and North Slope from Point Hope to the Canadian border as he saw fit. “To me, the real excitement was going out and wandering around the hills to places no geologist had ever been before and putting together a geologic map. It’s not only a physical challenge but an intellectual challenge,” he said. During this time, Mull made an important discovery of his own. 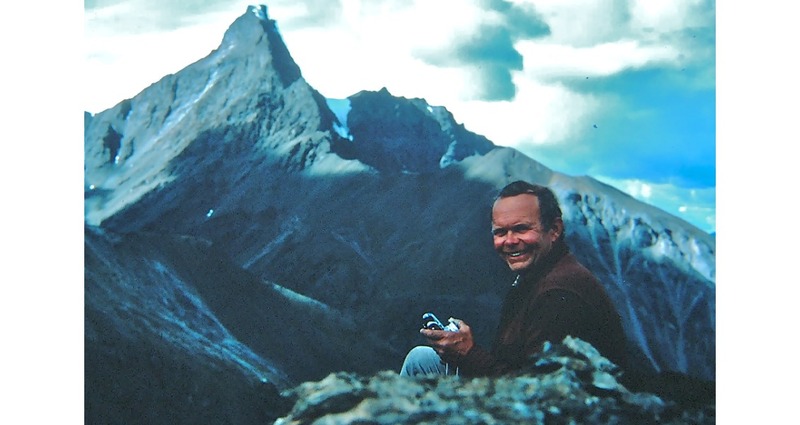 In 1970, he took Dietrich Roeder, an Exxon research geologist, on a guided tour of the thrust-faulted northern flank of the central Brooks Range. Along the upper Noatak River 112 km south of the mountain front, they noted how the thrust faults had been folded and dipped northward. Roeder suspected that a tremendous amount of movement had occurred in the mountains that lay north of them as a result of an obscure concept at the time: plate tectonics. “The mapping showed that distinctive rock sequences had been telescoped and shuffled like a deck of cards and then folded, representing hundreds of kilometres of crustal shortening. That was mind boggling,” Mull said. The USGS confirmed the age of the fossils, and agreed that a 650-by-160 km portion of the western and central Brooks Range north of Mount Doonerak had been thrusted hundreds of kilometres northward and then folded by uplift and further shortening in the core of the Brooks Range. “In terms of geological discoveries, that’s probably the thing I am most proud of,” Mull said. 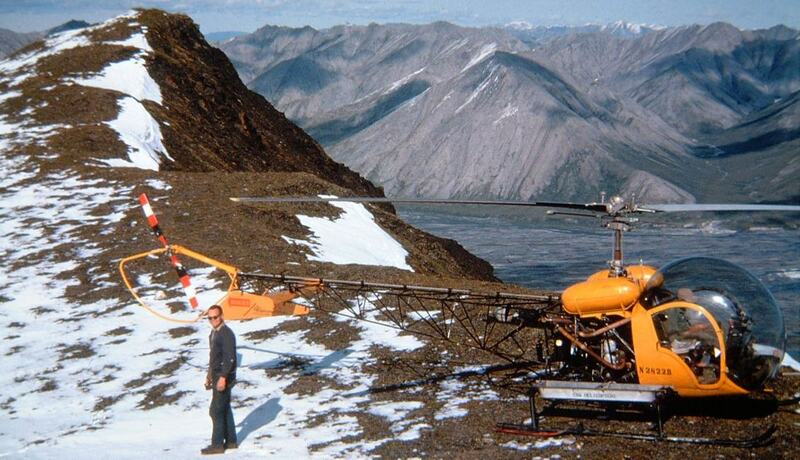 When Mull caught wind that Humble might send him to Houston for an office job, he quickly jumped ship and joined the USGS’s Branch of Oil and Gas Resources in 1975 to continue his field mapping work, particularly to assess oil and gas potential in NPRA and ANWR, and to help update the USGS’ maps. “We were having fun chasing the mapping. It was like a kid in a candy shop,” said Mull, who also authored an extensive list of technical papers and maps on North Slope geology. He continued that work when he moved to the Alaska Department of Natural Resources’ Division of Geological and Geophysical Surveys in 1981 and then to the Department’s Division of Oil and Gas in 2001. 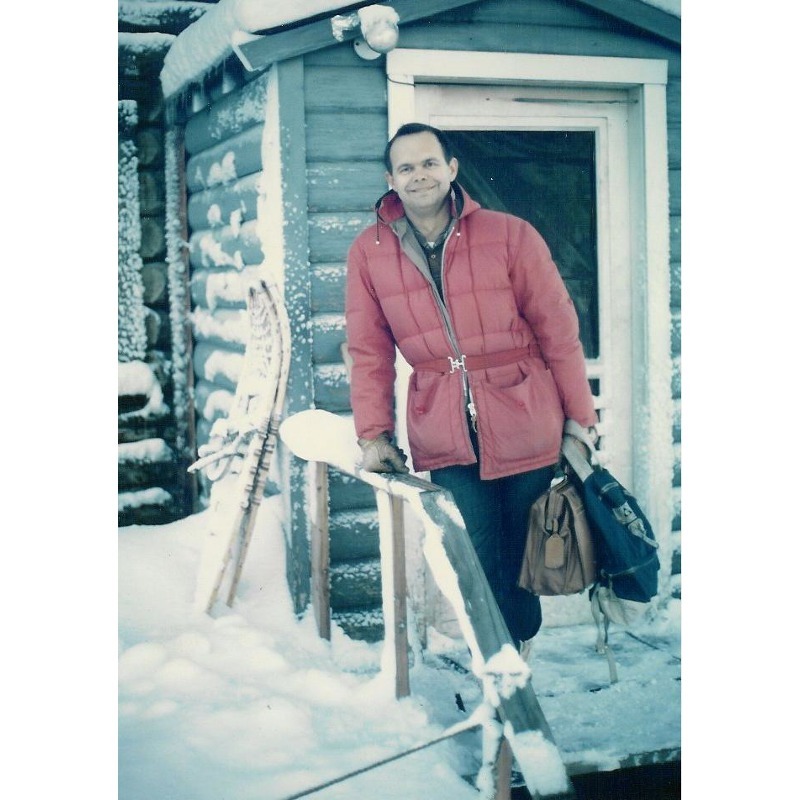 During this time, Mull led field parties that included graduate students from the University of Alaska Fairbanks that he described as “heroes”, as they provided a lot of the geological documentation critical to many projects. 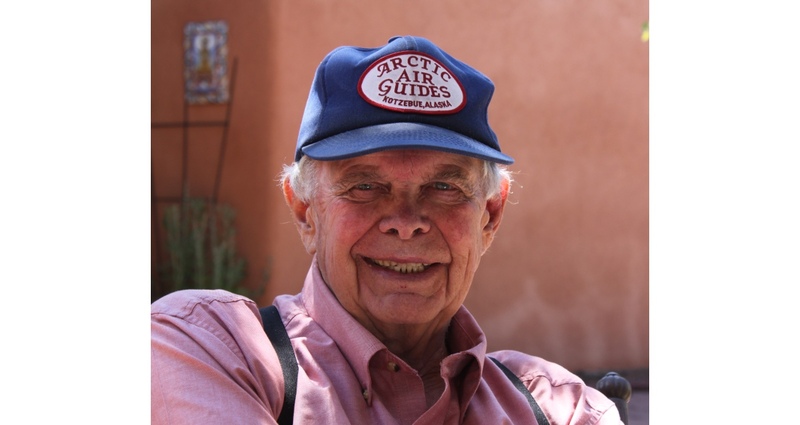 Mull, who is married with two children and three grandchildren, retired in 2003 and has settled in Santa Fe, N.M. He continues to take calls from fellow geologists to discuss the rocks he knows so well on the North Slope. As important as the discovery was to his country, a modest Mull holds the years he spent in the Brooks Range as the most meaningful. They fuelled his mind and soul and gave him a career that had few boundaries, two being the rugged terrain beneath his feet and the canopy of sky above his head. With that freedom, he pushed science a step forward. Farouk al-Kasim, an Iraqi with ten years experience in one for the world’s most prolific oil provinces, went on to serve the Norwegian government for 23 years and was instrumental in establishing the Norwegian Model. Kevin Topham was on the Sea Gem when it made the first commercial discovery in the UK North Sea in December 1965 and also when it collapsed, with the death of 13 men. He tells us his story.